Location, Location, Location! Located close to Frankfort and Owenton! 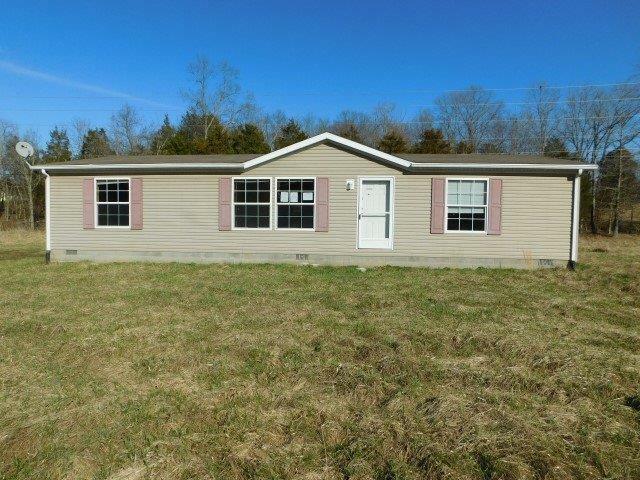 Manufactured 3BR/2BA situated on 1.5 acres! Tons of storage, all walk in closets, lots of cabinet space in the kitchen. Property is now under auction terms. Transaction fee of 5% of final bid price or $2500 minimum whichever is greater at closing. Deposit is 5% or $2, 000 whichever is greater. This property is being sold AS IS with no warranties or representations expressed or implied. Seller requires proof of funds for cash offers and prequalification letters for financed offers. This property is lender-owned and is being sold as-is. U.S. Bank is making no representation or warranties.